KH008 – THE BABIES “LIVE AT THE SMELL” NOW ON SALE! 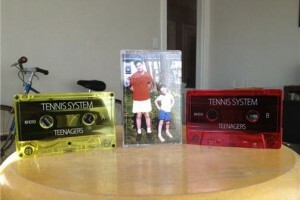 NEW TENNIS SYSTEM MUSIC VIDEO + TAPE UPDATES! NEW (FREE) MUSIC FROM PIZZA! TENNIS SYSTEM ANNOUNCES EAST COAST TOUR! NEW + AWESOME PIZZA! MUSIC VIDEO! SNAKEHOLE SUMMER SHOWS + TAPE COMING SOON! ARE YOU READY FOR PIZAZZ MUSIQ? LAST COWABUNGA BABES SHOW EVER! GHOST ANIMAL VIDEO PREMIERE + TOUR DATES!